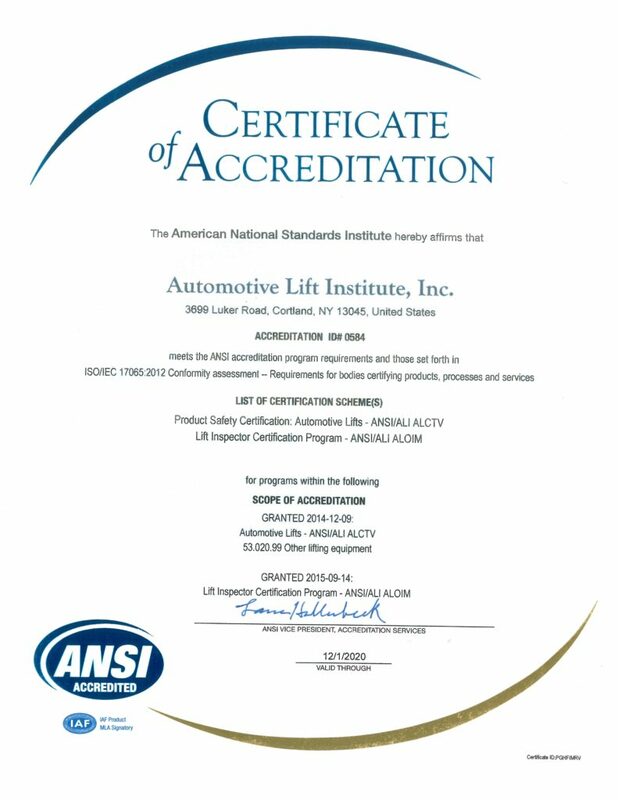 The ALI Lift Certification Program received ANSI accreditation in November 2001 and ALI was granted permission to use the “ANSI Accredited Certification Program” mark. The ALI Lift Inspector Certification Program received ANSI accreditation in September 2015 and ALI was granted permission to use the “ANSI Accredited Certification Program” mark. These ANSI programs have been established to provide government, industry and those purchasing and using automotive lifts with confidence in the competence of third-party product certification programs like ALI’s Automotive Lift Certification Program and Lift Inspector Certification Program.